Egg Cave is quite the happening place! Visit our blog for the latest updates on everything new that we add to the site — new creatures, exciting worlds, account updates, and unique activities to do! Bark, arf, bark! This is the Lovador! Arf, arf! Say hello to this adorable creature, the Lovador, that has arrived just in time for tomorrow's Chocotravaganza and Valentine's Day celebrations. It is available for a limited time (through February 28) from the Cash Shop. This creature was made possible by the user suggestion from @skyfall4! Many thanks from Team Egg Cave. Did you know that we make user suggestions into real creatures? 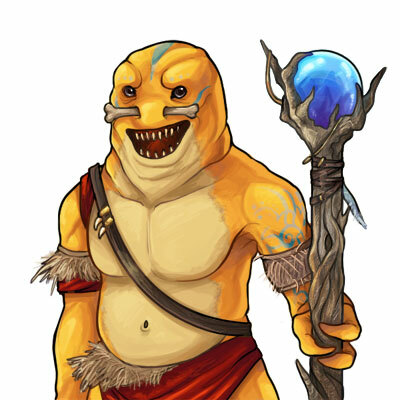 Submit your suggestions and fan art to the Fan Art & Creature Suggestions forum. Cash Shop Travels from autumn 2018 are retiring from the Cash Shop on February 16 at the end of the day Egg Cave Time. It's the second Sunday of the month... for today you can earn double the Egg Coins for feeding creatures everywhere on the site. So, start visiting your friends' profiles and take advantage of it! Can you collect all of the Florette tea set cups? Find them restocking at the Bean Sack. It's time to pay Aki the Bright a visit, right? Just when you thought that questing was as good as it could get... there are two brand-new prize pools available for redemption at the The VEND Machine! The first is titled Love Birds. It includes the Drem, Lovart, Pebblove, and Plore from past years. The second prize pool is Lovely Dragons, which includes the Nogar, Rix, Torget, and Yverosa. You can attempt to obtain any of these creatures above at The VEND Machine using your Quest Tokens collected from completing quests. Don't have any Quest Tokens? It's never too late to get started. Remember, quest prize pools can retire and go away at any time and depend on closely-watched creature rarities and distributions. February 2019's Cash Shop Travels have been fixed and have had their image quality greatly improved. These images are much, much crisper now. Thank you to our loyal users for pointing this graininess out. Not seeing it? You'll have to clear your browser's cache. Happy Lunar New Year to all of our players! This year, there won't be a new Lunar New Year creature but the Shengxiao is available again from the Cave for a limited time. Find the Shengxiao in the Cave through February 28. February 2019's Cash Shop Travels have arrived, just in time for Valentine's Day. Find these in the Cash Shop for a limited time. In 2019, we've changed the way that we're doing Trinket Travels. Instead of making them for creatures that are only ever available for a month, we're creating trinkets for the most popular, already-in-circulation creatures. Find these brand new trinkets restocking at Trinket Travels. UPDATE 1:33 PM: Stages 3 and 4 of the Lovca have been swapped. We're sorry for the incorrect initial ordering. Thanks for spending your February with us at Egg Cave. Welcome to February 2019! 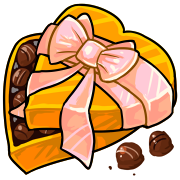 This month features the usual suspects... love, hearts, and best of luck... chocolates! The Chocotravaganza Exchange returns in the middle of the month. This month's Cash Shop Monthlies are the Amoyrm and Luvduv. The first creature is a fantastic suggestion by @pretzel and @achimenes, with the second being suggested exclusively by @achimenes. Find them in February and February only! Behold! This is the Florette (by @icesparkle22) and Lovca (by @disney)! Find them in the Cave. As you might've noticed, all of February 2019's creatures are from Egg Cave players just like you. To all of our lovely players with beautiful minds and imaginations: thank you! We're constantly scanning the Fan Art & Creature Suggestions forum for creative ideas that will be made into real Egg Cave creatures. If you suggest it, you'll receive the first of its kind in your Cove. St. Patrick's Day creatures will be chosen very shortly. Please begin submitting your spring/summer suggestions for Easter and beyond now. Want to go back in time? Keep reading our older site blog posts below.